Context: Previous studies have demonstrated that 3´-azido-3´-deoxythymidine (AZT) and arsenic trioxide (As2O3), traditional chemotherapy agents, can synergically inhibit the growth of hepatocellular carcinoma cells. However, the molecular mechanisms underlying As2O3 and AZT anti-hepatoma activity are unknown. 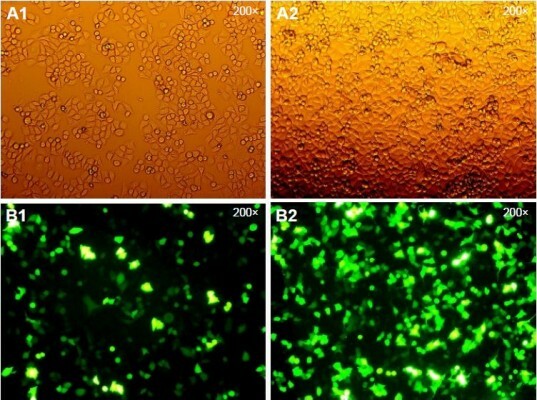 Objective: This study aimed to investigate the role of early growth response protein 1 (Egr-1) in the process of As2O3 combined with AZT inhibiting proliferation and inducing apoptosis of human hepatocellular carcinoma HepG2 cells, and explore the possible mechanism. Materials and methods: The expression of Egr-1 was silenced using siRNA, and then HepG2 cells were treated with As2O3 (2 μM) and AZT (20 μM). The rates of cell inhibition and apoptosis were determined by the 3-(4,5-Dimethylthiazol-2-yl)-2,5-diphenyltetrazoliumbromide (MTT) method and flow cytometry, respectively. The mRNA and protein expression of p53, caspase-3, and Egr-1 were detected by real-time quantitative polymerase chain reaction and Western blotting, respectively. Conclusion: The present results show that AZT could increase the sensitization of As2O3 for inhibiting proliferation and promoting apoptosis of HepG2 cells through regulating the expression of Egr-1, which may control the expression of p53 and caspase-3.